Today, many children who are very happy and dance together because their school holidays started around this December month! 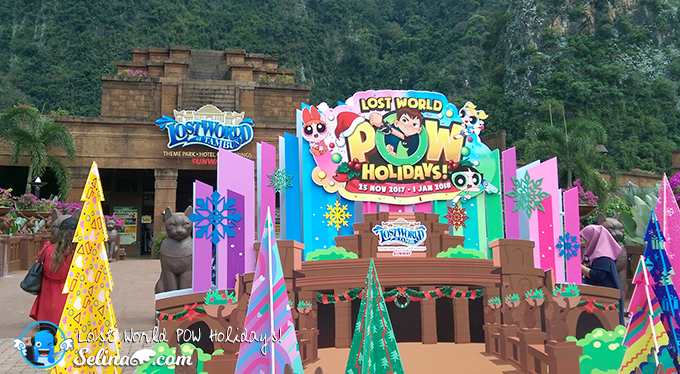 Sunway Lost World Of Tambun (LWOT) bring the some of TV’s favourite heroes from Cartoon Network; The Powerpuff Girls - who juggle school and saving the world (all before bedtime) and Ben 10, a fun-loving 10-year-old boy who can transform into aliens. LWOT promises fun-filled activities throughout to make the very best of the school holidays from 25 November to 1 January 2018! 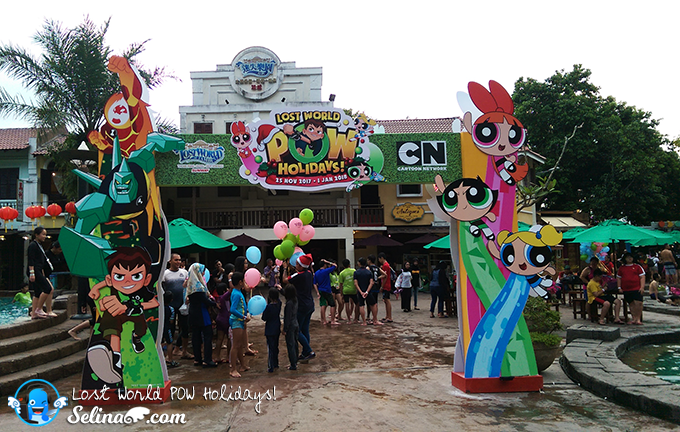 Sunway Lost World Of Tambun are waiting for you and your family to meet The Powerpuff Girls and Ben 10 now! Come and Join us! 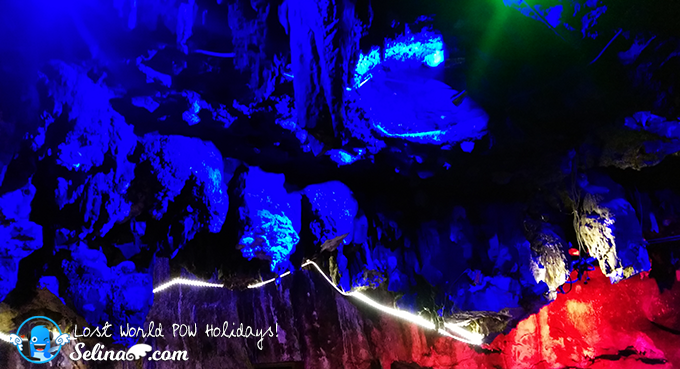 My good friend, Woan Koon and I visited Ipoh with my family to witness the launch of POW Holidays: The Powerpuff Girls and Ben 10 To Life for Sunway Lost World Of Tambun. 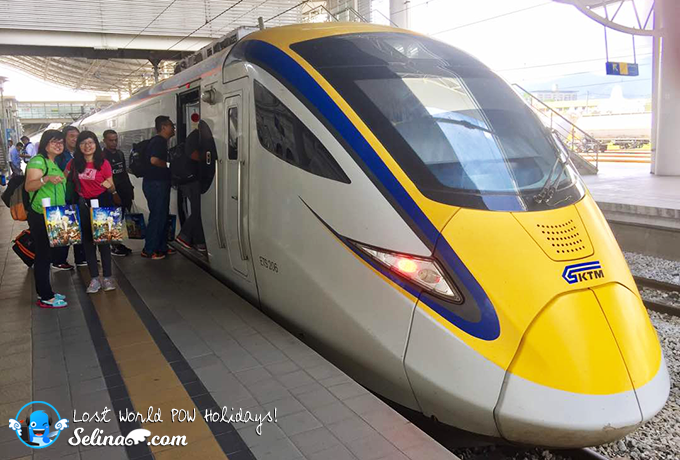 We took ETS train and take photo around an air-cond train because we are first-time to enjoy along a jounery to Tambun, Ipoh! It took 2 hours to reach there. 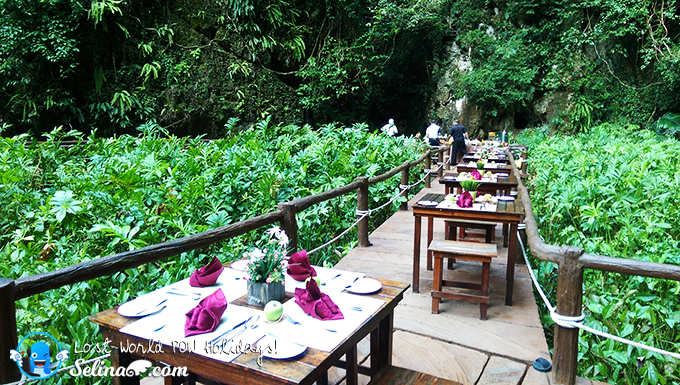 It is safer, and they prepared the food for the guests who joined POW Holidays: Lost World Of Tambun. LWOT together with its strategic transportation partner, ETS KTMB is currently organizing LWOT-ETS Selfie Contest from now until 31 December 2017. 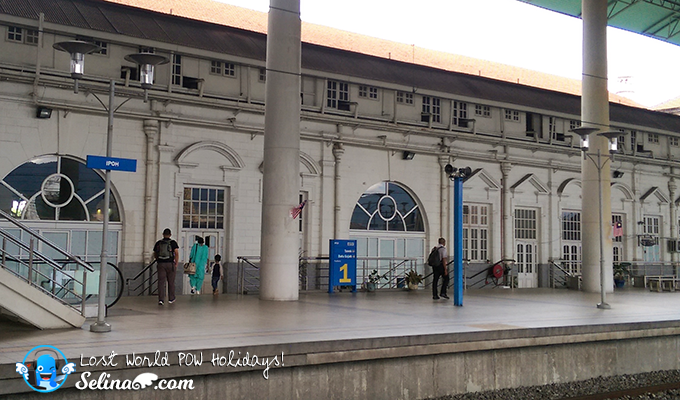 Participants will have to take a photo at any of Lost World POW Holiday poster and standees at 6 ETS stations located at KL Sentral, Gemas, Ipoh, Sungai Petani, Butterworth and Padang Besar and post the picture with the ETS ticket ID on the website at https://a.pgtb.me/WsSkkd. 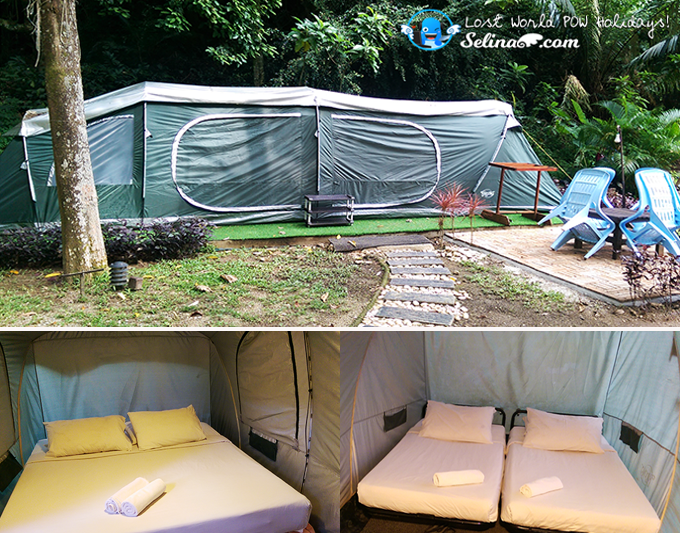 One weekly winner will take home the 2D1N stay in Lost World Glamping for two adults and two children as well as a return ETS train ticket to Padang Besar. 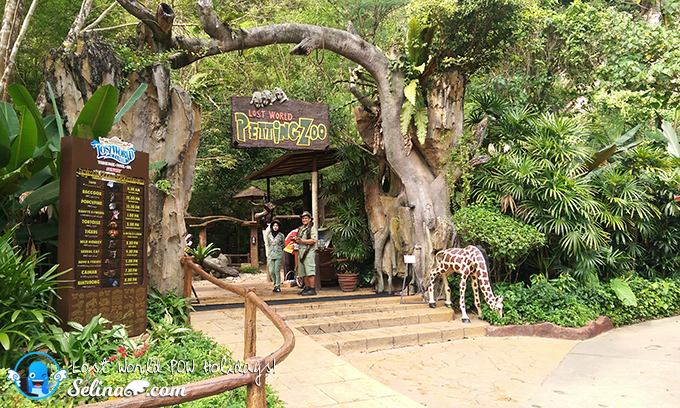 Ten weekly consolation prizes for four (4) Lost World Of Tambun entrance tickets (two adult ticket and two children tickets) will be up for grabs too. Normally, the LWOT's orginial price around RM80-90. 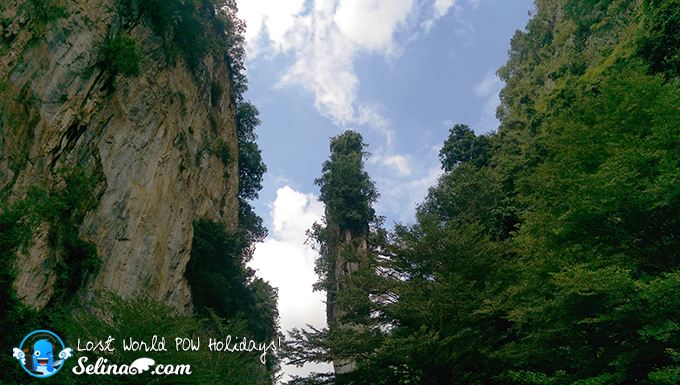 With POW Holidays's promotion, we got low prices so woww! 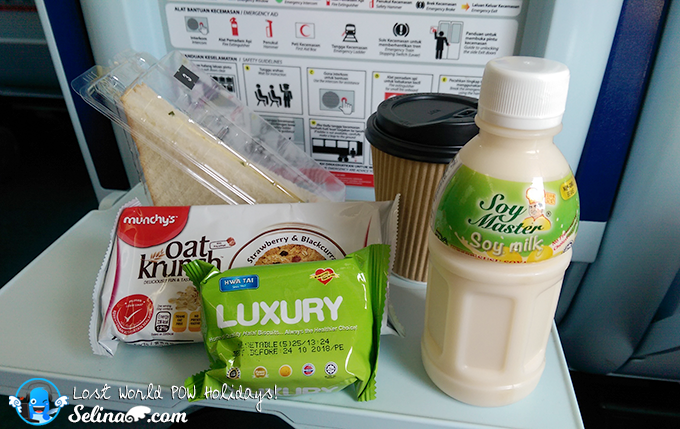 For Adults, just RM58.50, and Child/ Senior Citizen's prices: RM52.20 only! 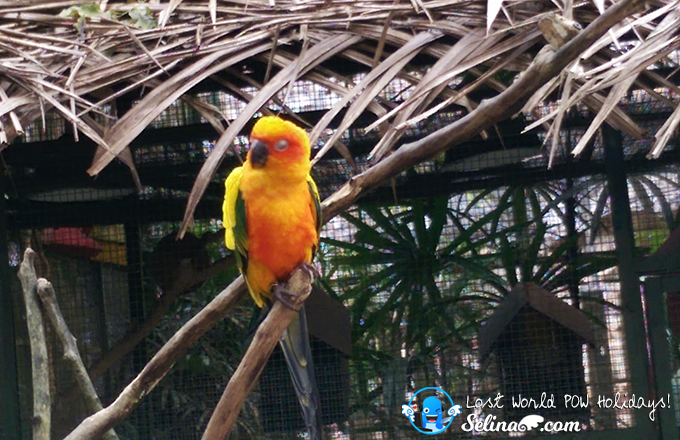 This is very good chance for a family to spend time to play in water, or pet animals, or relax in hot spring there. 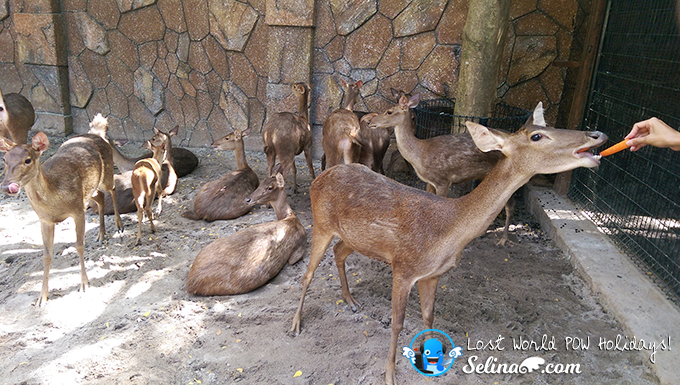 When we joined LWOT park, we surisped to see many people who played the Amusement Park and Hippo Kingdom. 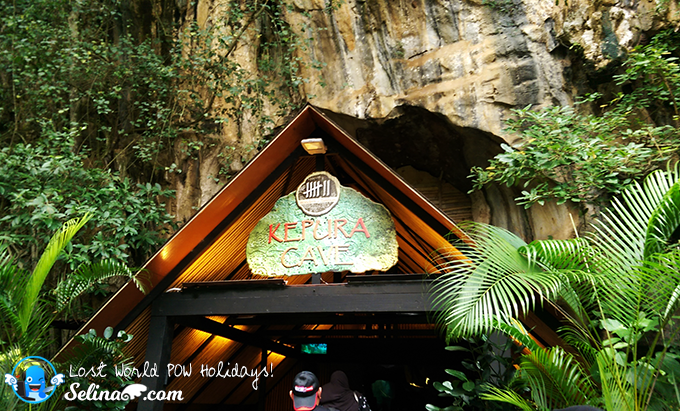 We never know that there are "Kepura Cave" existed in this theme park! If you plan to celebrate your birthday party or a meeting room, or romantic couple's fine dining, you can book the Kepura Cave! 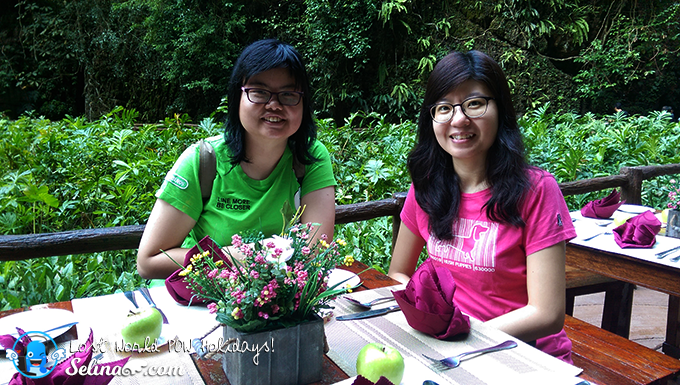 My good friend, Woan Koon and I eat lunch in a dark cave on our first time. It is cool, not very hot inside. 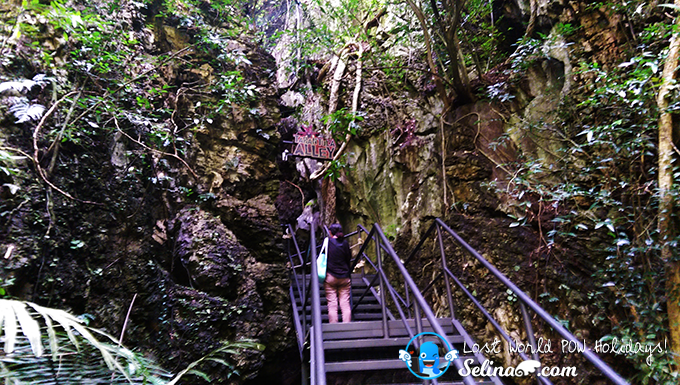 So we had our great time in the Kepura Cave! Everything is beautiful in a cave! Oh..we can view an aquarium fish. so cool! LWOT promises fun-filled activities throughout to make the very best of the school holidays from 25 November to 1 January. 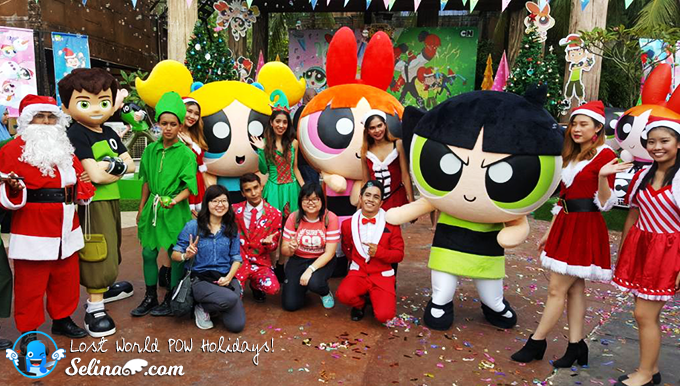 Guests will be amazed by the beautiful 20-foot-tall Christmas tree at the Malayana Village, and the epic decorations, inflatables and statues of The Powerpuff Girls and Ben 10 decorations at Toon City, Riverside. There will be exciting games such as Giant Jenga, Giant Snakes & Ladders, Giant Slingshot, Shuttle Smash, Wheel of Power and Slow & Steady, that will test coordination. Don’t worry about missing out on the meet-and-greet as there will be up to four sessions per day to see these lovable characters and a dance-along to keep guests entertained. The Awesome Pool Party at the Jungle Wave Bay will feature Ben, as well as Blossom, Bubbles and Buttercup inflatables. 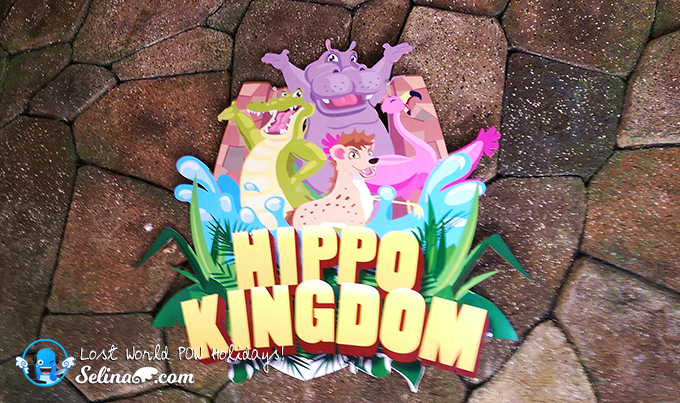 Hippo Kingdom are well maintained park. It also very clean! The staffs who take care of them so nicely. 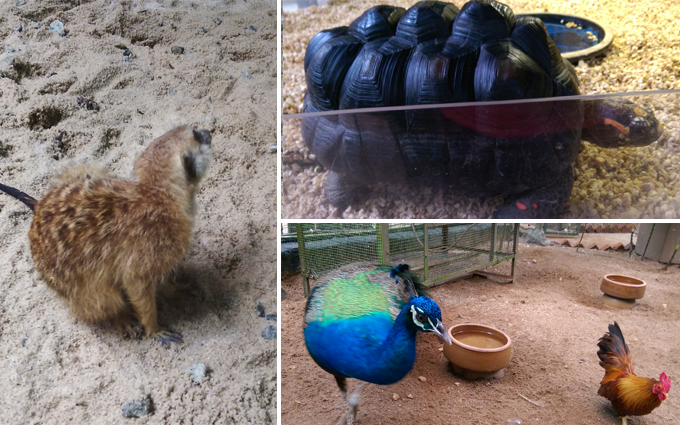 They let us to feed the animals. 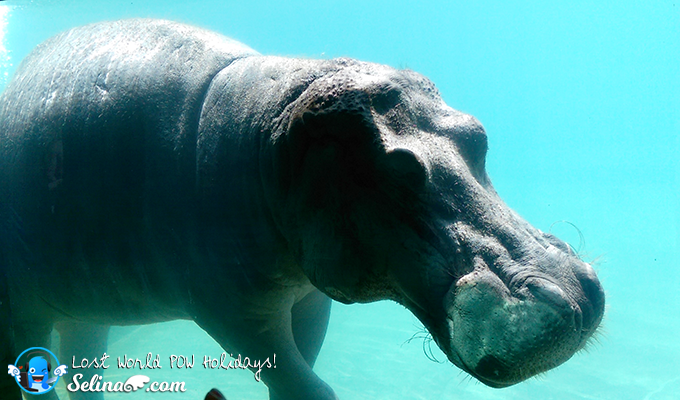 Hippo is very BIG! First time, I see this size of Hippo is really big than a crocodile! Our history of Malaysia said Ipoh of Perak state become a city, thanks to a tin mining business become bigger. That is the Tin Valley lead how the miners be survive by digging the tins. 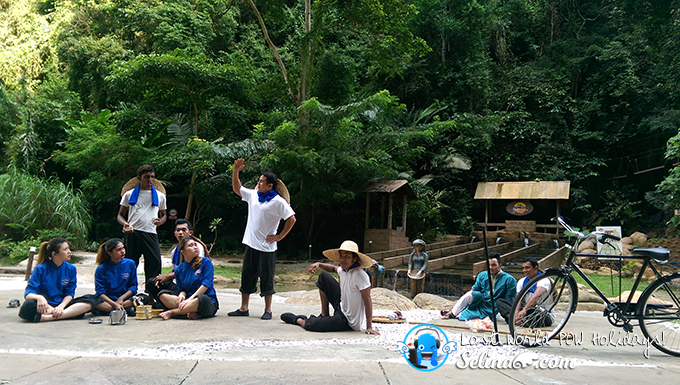 The performance of Tin Valley bring the lessons about the history of races, and the different races like Chinese, Indian, Malay and other face a lot of challenges in their survive life. It lead them be united together so strong! It is good lesson for public to watch this performance of Tin Valley. 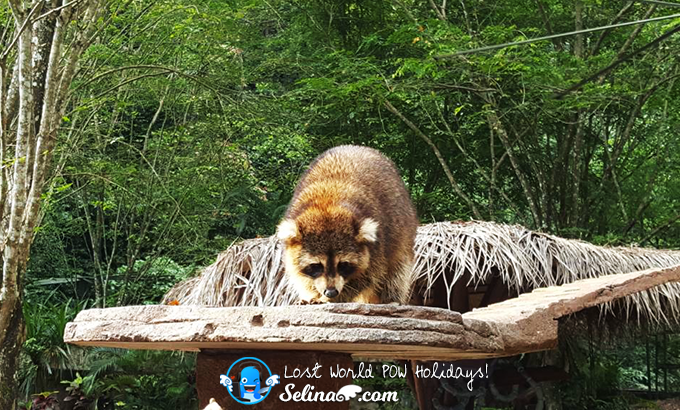 Lost World Glamping opened for the natural or animal lovers who love to sleep in the jungle! It is good camping experience for a family with children in this protected area beside a lake. Welcome to Petting Zoo. 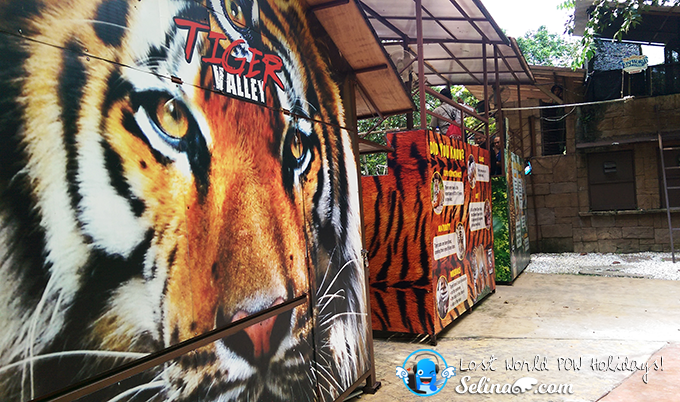 You can touch your favourite animal inside this zone! 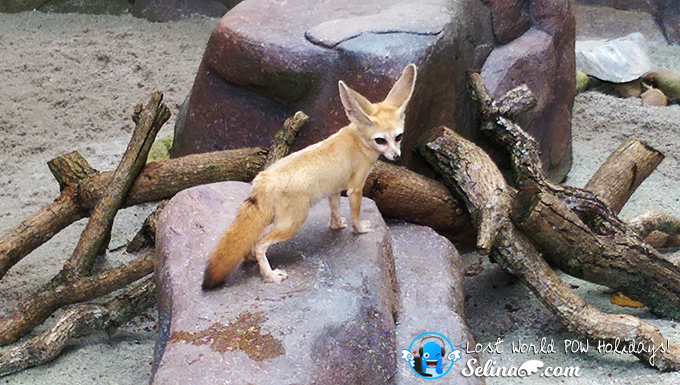 Wow, a cute mini fox! I love it! We managed to close this animals so cute.. Especially we liked Raccoon so very much! Dare to enter Spider Valley?? Scary! 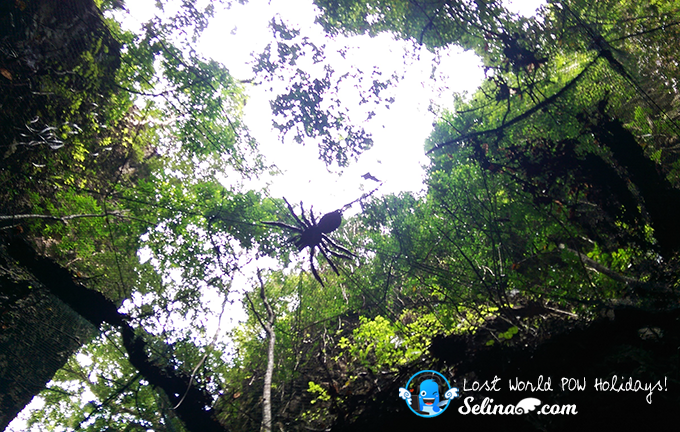 We saw it at the Spider Zone! LWOT is giving out 1,000 Lost World POW Holidays ticket tied to balloons whereby one ticket can admit up to four persons. Guests can redeem the ticket throughout the campaign period and enjoy the experience with their loved ones throughout the school holidays. Special treats will include Cartoon Network-inspired popcorn and cotton candy. Guests can also purchase heaps of merchandise at the POW SHOP during the campaign period, including toy figurines, plush toys, footwear and apparel. “Spending time together outdoors with family and friends is precious, so fitting in quality time is priority. With this special time of the year, we are bringing in these all-time-favourite cartoon characters that will bring life to LWOT! 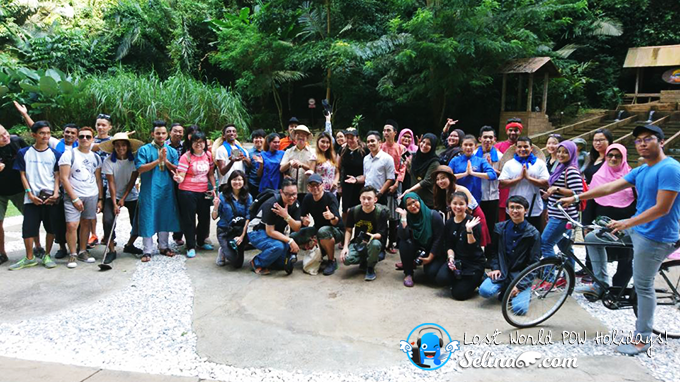 This is truly the place to be for those who want to unwind and disconnect from the hustle and bustle of the daily grind, reconnect with nature and more importantly, each other,” said Nurul Nuzairi Bin Mohd Azahari, General Manager of Lost World Of Tambun. 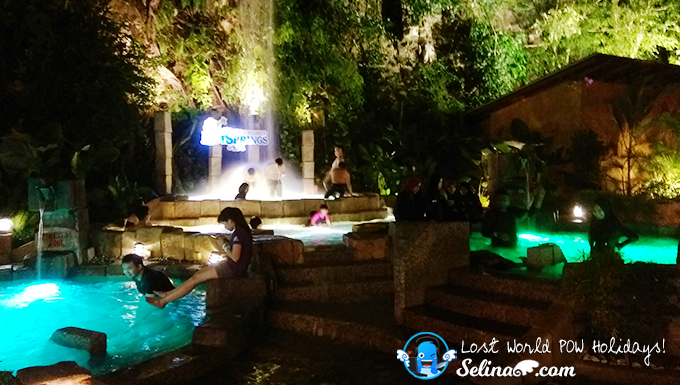 Lost World of Hot Spring only open from 6pm till 11pm on daily! I really like to relax in a hot spring so much! I like this quiet zone so I can sit down so calm down... My friend and I enjoyed to chat-chit until late night! 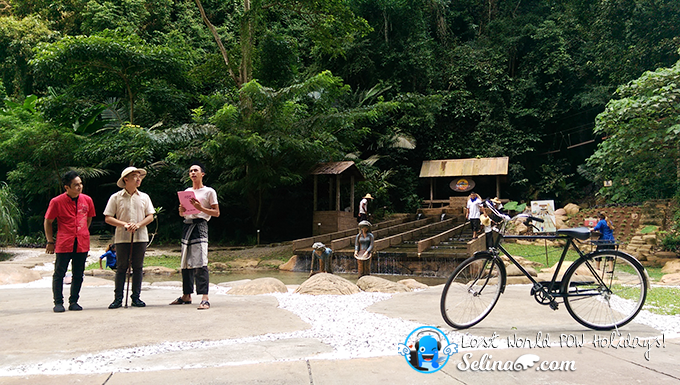 Not this pool only, there are foot spa, jacuzzi, and many..we explored around this Hot Spring so good time! If you are hungry, no worries! Ipoh Street still be open from morning till late night! Wow. 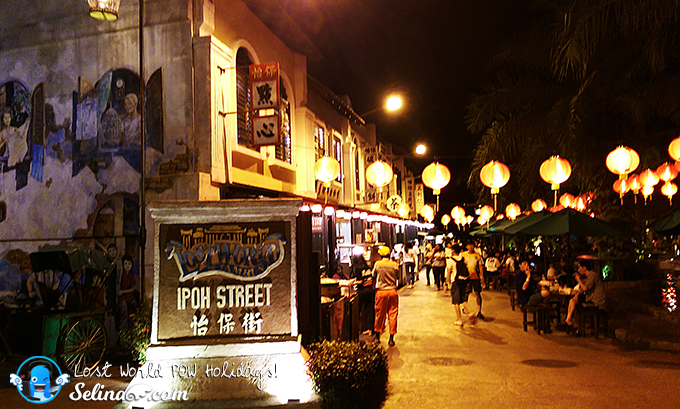 The hawkers sell the famous Malaysian food of Ipoh Street! Or you can swim in the Water Park too! With a wide array of water rides, and kid-centric attractions! It is very beautiful place while we have a breakfast at the green Lake! 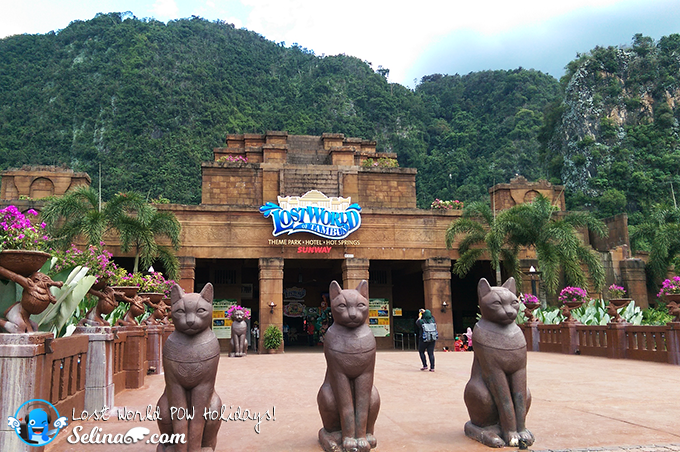 The Lost World of Tambun is a good getaway for family and friends. 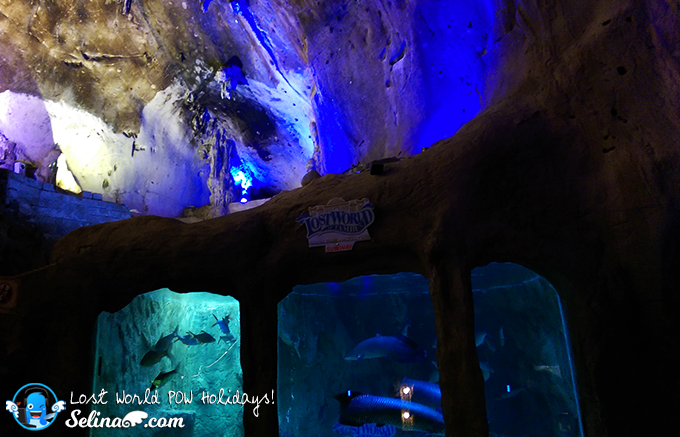 If you are planning on making this holidays or weekend a fun and adventurous one, make a trip to the Lost World Of Tambun now! 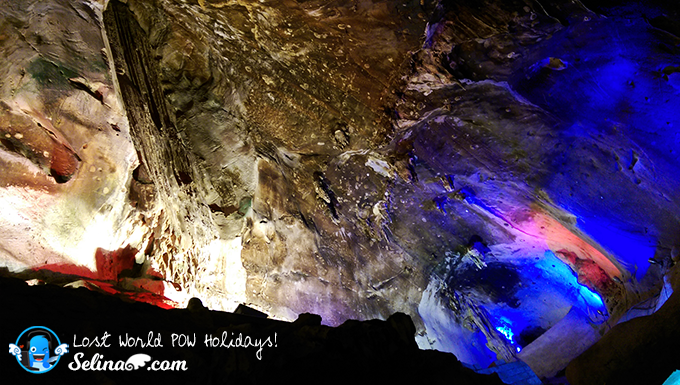 An action and adventure themed destination, LWOT is nestled in picturesque Ipoh with beautiful sceneries of nature, captivating caves and range of fun activities all day. There are many ways to let loose at LWOT and one thing’s for sure, there will never be a dull moment. 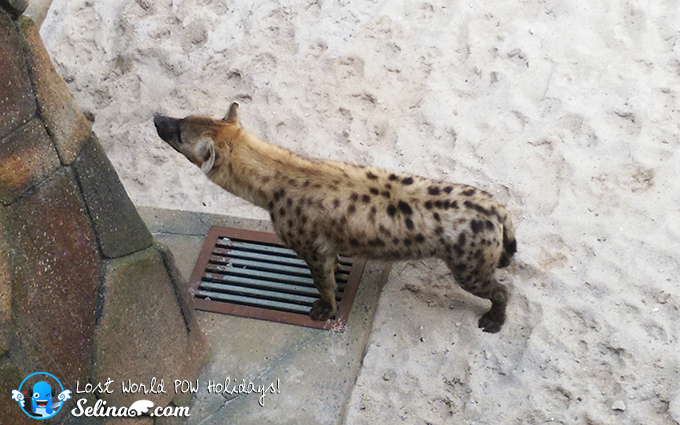 Guest can now enjoy 35% off from the published rate when they purchase ticket through online. Get ready for visit there? 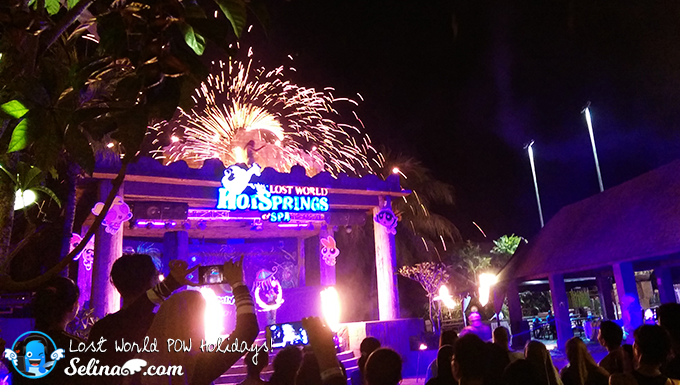 Before this, get more information from Sunway Lost World of Tambun's website at https://sunwaylostworldoftambun.com/pow-holidays/ or its Facebook page at www.facebook.com/lostworldoftambun or by calling the park at +605 542 8888. It looks like an awesome and fun place to visit. Ben 10 and Power puff girls is a huge fan of my son and daughter. I will gonna show this to her. This used to be my 2nd home when I working with Sunway Hote.. after resign, really no more going back there. Now i'm planning to go again with my friends... oh yeah! Power puff girls so cute.. 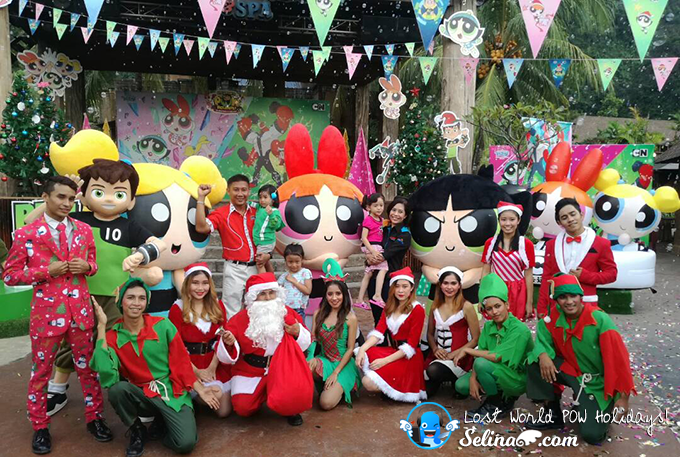 I wanna go lost world in tambun..
Powerpuff girl!!! I love the Bubble character. 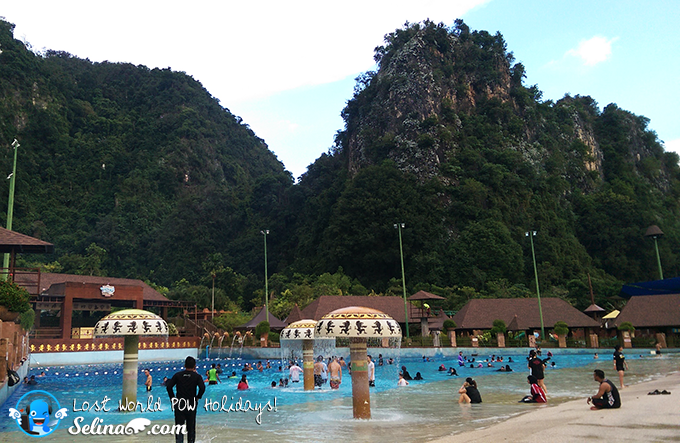 Maybe I should visit Tambun anytime soon. Omg the PowerPuff is so cute! Such a fun holiday with friends and family at LWOT. 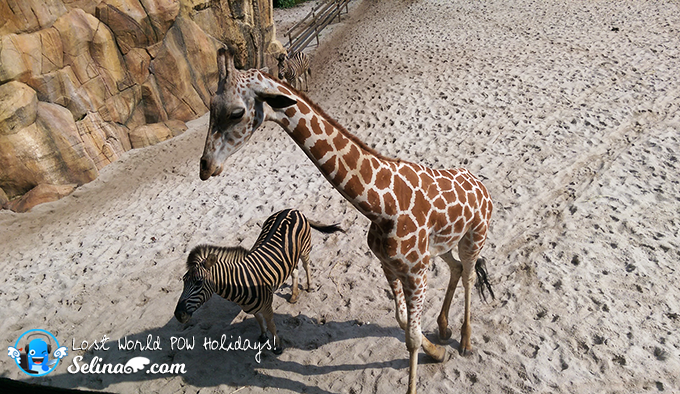 What an awesome holiday programme for children. Even though I am a lot older, I would love to be there as well!